The Republic of Korea Armed Forces (Hangul: 대한민국 국군; Hanja: 大韓民國國軍; RR: Daehanminguk Gukgun; lit. "Republic of Korea National Military"), also known as the ROK Armed Forces, are the armed forces of South Korea. Created in 1948 following the division of Korea, the ROK Armed Forces is one of the largest standing armed forces in the world with a reported personnel strength of 3,699,000 in 2018 (599,000 active and 3,100,000 reserve). South Korea's military forces are responsible for maintaining the sovereignty and territorial integrity of the state, but often engage in humanitarian and disaster-relief efforts nationwide. The South Korean armed forces were largely constabulary forces until the outbreak of the Korean War. It was heavily damaged by North Korean and Chinese attacks and in the beginning relied almost entirely on U.S. support for weapons, ammunition and technology. After the Korean War South Korea maintained a large military ground force, which in 1967 had about 585,000 personnel, much larger than the northern forces of about 345,000. During South Korea's period of rapid growth in the 1980s, the military modernised, benefiting from several government-sponsored technology transfer projects and indigenous defense capability initiatives. The GlobalSecurity.org website states that "in 1990 South Korean industries provided about 70 percent of the weapons, ammunition, communications and other types of equipment, vehicles, clothing, and other supplies needed by the military." Today, the South Korean armed forces enjoy a good mix of avant-garde as well as older conventional weapons. South Korea has one of the highest defense budgets in the world, ranking 10th globally in 2016, with a budget of more than $36 billion U.S. dollars. Its capabilities include many sophisticated American and European weapon systems, complemented by a growing and increasingly more advanced indigenous defense manufacturing sector. For example, by taking advantage of the strong local shipbuilding industry, the ROK Navy has embarked on a rigorous modernization plan with ambitions to become a blue-water navy by 2020. South Korea has a joint military partnership with the United States, termed the ROK-U.S. Alliance, as outlined by the Mutual Defense Treaty signed after the Korean War. During the outbreak of the Vietnam War, ROK Army and the ROK Marines were among those fighting alongside South Vietnam and the United States. More recently, South Korea also takes part in regional as well as pan-Pacific national military wargames and exercises such as RIMPAC and RSOI. Among other components of the armed forces is the Defense Security Support Command, originally the Army Counter-Intelligence Corps, which had a major role in monitoring the military's loyalty during the period of military rule in South Korea. Until January 2011, "mixed-race" men were prohibited from being conscripted into the South Korean military. Homosexual relations constitute a criminal offense in the military code, giving rise to a maximum sentence of two years imprisonment, regardless of whether it takes place in the army unit or outside of it. President Park Chung-hee inspecting the troops at the 1973 Republic of Korea Armed Forces Day parade. The President is the Commander-in-Chief Forces ex officio. The military authority runs from the President to the Minister of National Defense, who is commonly (but not legally bound to be) a retired 4-star General (equivalent to a British Army/Commonwealth full General or a Royal Navy/Commonwealth Admiral). The Chairman of the Joint Chiefs of Staff, a 4-star General or Admiral, is the Senior Officer of the Armed Forces and has the Operational Authority over the Armed Forces, with directions from the President through the Minister of Defense. Traditionally (with one exception), the position is filled by an officer of the Army. The chain of Operational Authority runs straight from the Chairman of the Joint Chiefs of Staff to the Commandants of the several Operational Commands. Currently there are five Operational Commands in the Army, two in the Navy (including the Marine Corps) and one in the Air Force. The respective Chiefs of Staff of each Service Branch (Army, Navy, Air Force) has administrative control over his or her own service. Each Chief of Staff is also a standing member of the Joint Chiefs of Staff. The Republic of Korea Joint Chiefs of Staff headquarters (Hangul: 대한민국 합동참모본부, Hanja: 大韓民國 合同參謀本部; Daehanminguk Hapttongchammobonbu) is a group of Chiefs from each major branch of the armed services in the Republic of Korea Armed Forces. Unlike the United States, the Chairman of the Joint Chiefs of Staff has operational control over all military personnel of the armed forces. All regular members are 4-star generals or admirals, although the deputy chairman sometimes has only 3 stars. South Korean soldiers at the JSA (Joint Security Area) between the blue buildings. North Korea is in the background. The ROK Army was formerly organized into three armies: the First Army (FROKA), Third Army (TROKA) and Second Operational Command each with its own headquarters, corps (not Second Operational Command), and divisions. The Third Army was responsible for the defense of the capital as well as the western section of the DMZ. The First Army was responsible for the defense of the eastern section of the DMZ whereas the Second Operational Command formed the rearguard. Under a restructuring plan aimed at reducing redundancy, the First and Third Armies will be incorporated into the newly formed First Operations Command, whereas the Second ROK Army has been converted into the Second Operational Command. The army consists of the Army Headquarters, the Aviation Command, and the Special Warfare Command, with 7 corps, 39 divisions, some 520,000 troops and estimated as many as 5,850 tanks and armored vehicles, 11,337 artillery systems, 7,032 missile defense systems and 13,000 infantry support systems. The army will take the brunt of the personnel reduction part of the Defense Reform 307. Associated with this personnel reduction would be a significant reduction in the ROK Army force structure, in particular decreasing the current force of 47 divisions (active duty and reserve) down to a force of about 28 divisions. The ROK Navy (ROKN) is the armed forces branch responsible for conducting naval operations and amphibious landing operations. As a part of its mission, the ROK Navy has engaged in several peacekeeping operations since the turn of the century. The ROK Navy includes the Republic of Korea Navy Headquarters, Republic of Korea Fleet, Naval Logistics Command, Naval Education and Training Command, Naval Academy, and Republic of Korea Marine Corps, which is a quasi-autonomous organization. The Chief of Naval Operations (CNO) is the highest-ranking officer (four-star admiral) of the ROK Navy. In 1995, Admiral An Pyongtae, the 20th Chief of Naval Operations, presented the vision of building a "blue ocean navy" for the future of the ROK Navy in his inaugural address. In 2001, then President Kim Dae-jung announced a plan for building up a Strategic Mobile Fleet. As a part of "Defense Reform 2020," which was proposed by the Roh Moo-hyun Administration, the ROK Navy is required to reform the organizations under Commander-in-Chief Republic of Korea Fleet (CINCROKFLT) by upgrading a submarine operations command (to fleet submarine force), a naval aviation operations command (to fleet air arm), and by establishing some Mobile Flotillas. The ROK Navy aims to become a blue-water navy by 2020. In the first decade of the 21st century, the ROK Navy launched the lead ships of newly developed types: in 2002, ROKS Chungmugong Yi Sunshin (DDH 975), a 4,500-ton destroyer, was launched; in 2005, the 14,000-ton amphibious landing ship, ROKS Dokdo (LPH 6111) was launched; in 2006, the ROK Navy launched the Sohn Won-yil (SS 072), an 1,800-ton Type 214 submarine with Air-Independent propulsion (AIP) system. 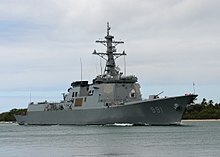 In 2007, the ROK Navy launched the lead ship (DDG 991) of the King Sejong the Great class destroyer, built around the Aegis combat system and the SPY-1D multi-function phased array radar. The ROK Navy is undertaking several shipbuilding projects: Korean Destroyer Experimental (KDX) program, Frigate Experimental (FFX), Landing Platform Experimental (LPX), Patrol Killer Experimental (PKX), and Korean Submarine (KSS) program. The ROK Navy hosted its second international fleet review off the coast of Busan in October 2008. Although the National Armed Forces Organisation Act stipulates that the ROK Navy includes the Republic of Korea Marine Corps, the ROKMC is a semi-autonomous organization that carries out much of its functions independently. During the Korean War, the ROKMC earned their nickname as "귀신잡는 해병대" (English: Ghostbusting Marines). The motto of the ROK Marine Corps is "한번 해병은 영원한 해병" (English: "Once a Marine, Forever a Marine"). The ROK Air Force (ROKAF) maintains a modern air force in order to defend itself from various modes of threats, including the North Korean Army. The ROK Air Force fields some 450 combat aircraft of American design. In contrast, the North Korean Army has roughly 650 combat aircraft, but mostly obsolete types of Soviet and Chinese origin. Korea began a program for the development of indigenous jet trainers beginning in 1997. This project eventually culminated in the KAI T-50, dubbed the "Golden Eagle" which is used as a trainer for jet pilots, now being exported to Indonesia. A multirole all-weather version of the T-50 is the modified FA-50, which can be externally fitted with Rafael's Sky Shield or LIG Nex1's ALQ-200K ECM pods, Sniper or LITENING targeting pods, and Condor 2 reconnaissance pods to further improve the fighter's electronic warfare, reconnaissance, and targeting capabilities. Other improved weapon systems over FA-50 include SPICE multifunctional guidance kits, Textron CBU-97/105 Sensor Fuzed Weapon with WCMD tail kits, JDAM, and JDAM-ER for more comprehensive air-to-ground operations, and AIM-120 missiles for BVR air-to-air operations. 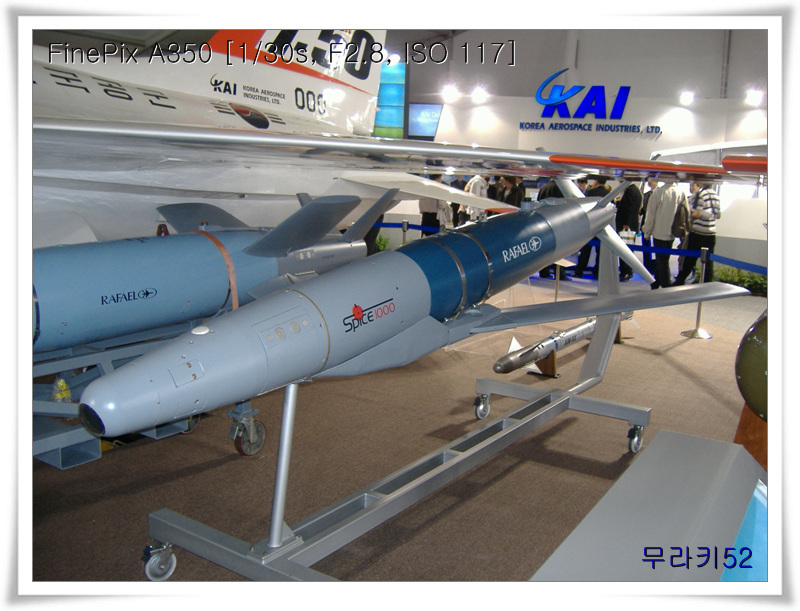 FA-50 has provisions for, but does not yet integrate, Python and Derby missiles, also produced by Rafael, and other anti-ship missiles, stand-off weapons, and sensors to be domestically developed by Korea. The Republic of Korea Air Force also expressed interests in acquiring the RQ-4 Global Hawk and Joint Direct Attack Munition kits to further improve their intelligence and offensive capabilities. The replacement programs for the F-4D/E and F-5A/B/E/F are the KTX-2 and F-X, respectively. The latter has been fulfilled by the Boeing F-15K. The South Korean government also announced its plan to develop indigenous helicopter manufacturing capacities to replace the aging UH-1 helicopters, many of which had seen service during the Vietnam War. The program originally included plans for the development of both a civilian and a military helicopter. This was later revised and gave priority to the utility helicopter program. Based on the success and experience of the civilian KMH (Korean Multi-purpose Helicopter) the attack helicopter, which would share a common configuration, will be developed. Military service is mentioned as one of the Four Constitutional Duties (along with taxes, education, and labor) for all citizens. The current effective Conscription Law, however, applies only to males although women can volunteer as officers or non-commissioned officers. Military service varies according to branch: 21 months for the Army and Marine Corps, 23 months for the Navy, 24 months for the Air Force and civil service. The other professional civil service is from 26 months to 36 months. Korea had a bonus point system (Hangul: 군가산점; Hanja: 軍加算點; RR: gungasanjeom) which gave a person who completed military service bonus points when applying for a job, but it was found unconstitutional by South Korean constitutional court in 1999. Recently, however, there has been significant pressure from the public demanding either a shortening of the term or a switch to voluntary military service. In the Republic of Korea Armed Forces, ranks fall into one of four categories: commissioned officer, warrant officer, non-commissioned officer, and enlisted, in decreasing order of authority. Commissioned officer ranks are further subdivided into "Janggwan" or general officers, "Yeonggwan" or field grade officers, and "Wigwan" or company officers. The "Wonsu" is appointed from the "Daejang" who has distinguished achievements. However, there has been no one holding the rank of "Wonsu" in the history of the ROK Armed Forces. All branches share a common rank-system, with different colors used to denote the different branches (Army: Green & Black, Navy: White & Black, Marine Corps: Red & Yellow, Air Force: Green & Blue). Note: The English titles are given as comparative examples with the US Army ranks. Until April 2011, South Korean soldiers swore allegiance to the "Korean race" in their oaths of enlistment. Likewise, until 2007, the South Korean civilian pledge of allegiance was also to the "Korean race". In 2008, officers and soldiers of Unit Dongmyeong, stationed in Lebanon with the UNIFIL, received honorary medals from the United Nations. The ROK military forces are undergoing rapid modernization in preparation for assuming wartime operational control of the ROK's defenses by December 2015. Several cutting-edge military systems are currently being inducted. At the same time, the ROK Armed Forces will see a reduction in active duty personnel from 640,000 to 517,000 by the end of this decade. Based on the new Defense Reform 2.0. blueprint and in line with the overall troop drawdown scheme, the number of general-grade officers will be reduced by 17 percent from the current 436 to 360 by 2022 to reduce the bloated top command apparatus. This means the removal of 66 general-level positions for the Army and five each for the Navy and Air Force. The mandatory military service for Army draftees will also be reduced to 18 months from the current 21 months by 2022. ^ a b c d "2018 Defence White Paper" (PDF). December 2018. ^ "방위사업법 제35조(방산업체의 지정 등)에 의하여 지정된 방산업체의 현황". kdia.or.kr. Retrieved 29 August 2014. ^ North Korean Intentions and Capabilities With Respect to South Korea (PDF) (Report). CIA. 21 September 1967. p. 7,11. SNIE 14.2-67. Retrieved 13 March 2017. ^ a b c "North vs. South Korea: A Military Comparison." Archived 2012-01-08 at the Wayback Machine Global Bearings, 7 November 2011. ^ a b "North Korea vs South Korea". 22 October 2012. Archived from the original on 10 April 2013. Retrieved 26 March 2013. ^ a b "New Pledge of Allegiance to Reflect Growing Multiculturalism". The Chosun Ilbo. South Korea. 18 April 2011. Archived from the original on April 20, 2011. Retrieved 20 April 2011. The military has decided to omit the word 'minjok,' which refers to the Korean race, from the oath of enlistment for officers and soldiers, and replace it with 'the citizen.' The measure reflects the growing number of foreigners who gain Korean citizenship and of children from mixed marriages entering military service. ^ "South Korea's favourite to be president says he 'opposes' homosexuality". ^ "Duty of the ROK Navy". Republic of Korea Navy Official Website. Retrieved March 10, 2007. ^ "해군작전사령부 창설 54주년..어제와 오늘 그리고 미래"[permanent dead link]. Ministry of National Defense Official Website. Retrieved March 4, 2007. ^ "21세기 통일한국의 大洋해군 전략". Donga.com. Retrieved March 8, 2007. ^ "김대통령, 해군사관학교 졸업 및 임관식 참석말씀" Archived 2012-12-19 at Archive.today. Kim Dae-jung Presidential Library Official Website. Retrieved March 12, 2007. ^ "2006 국방백서" Archived 2007-05-14 at Archive.today. Ministry of National Defense Official Website. Retrieved March 11, 2007. ^ "대양해군건설". Republic of Korea Navy Official Website. Retrieved March 4, 2007. ^ "해병대 조직" Archived 2007-09-27 at the Wayback Machine. Republic of Korea Marine Corps Official Website. Retrieved March 26, 2007. ^ "해병대관련표어" Archived 2007-10-13 at the Wayback Machine. Republic of Korea Marine Corps Official Website. Retrieved September 12, 2007. 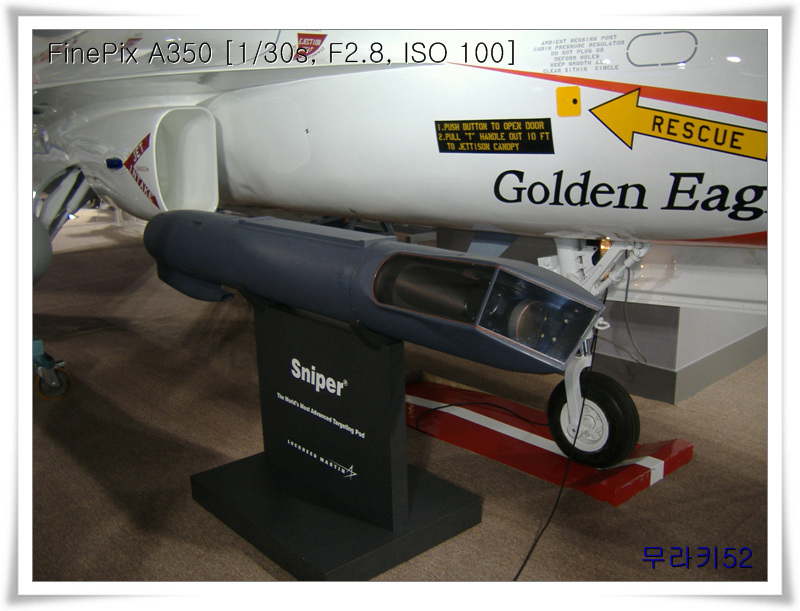 ^ "Sniper Targeting Pod for FA-50". 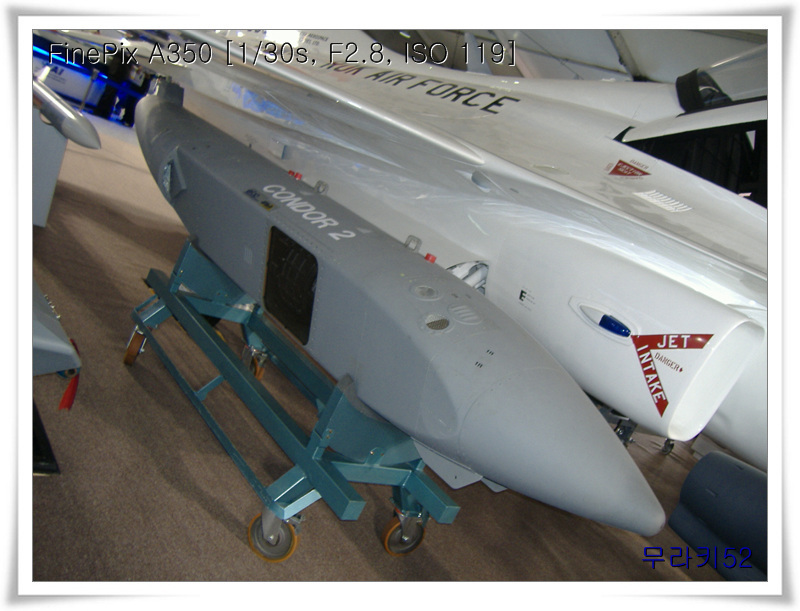 ^ "Condor 2 Reconnaissance Pod for FA-50". ^ "Rafael SPICE 1000 Guided Bomb". 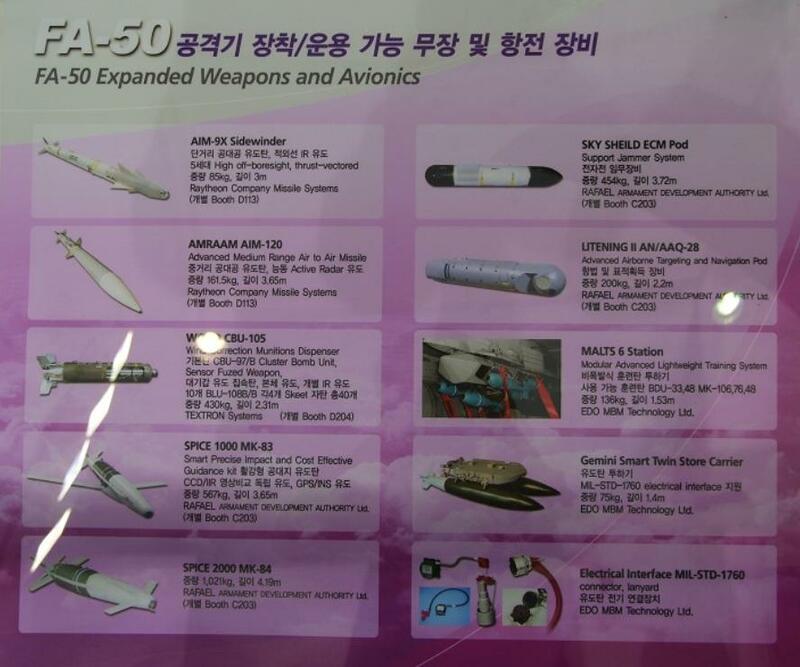 ^ FA-50 Expanded Weapons and Avionics. bemil.chosun.com. Retrieved on 2011-06-05. 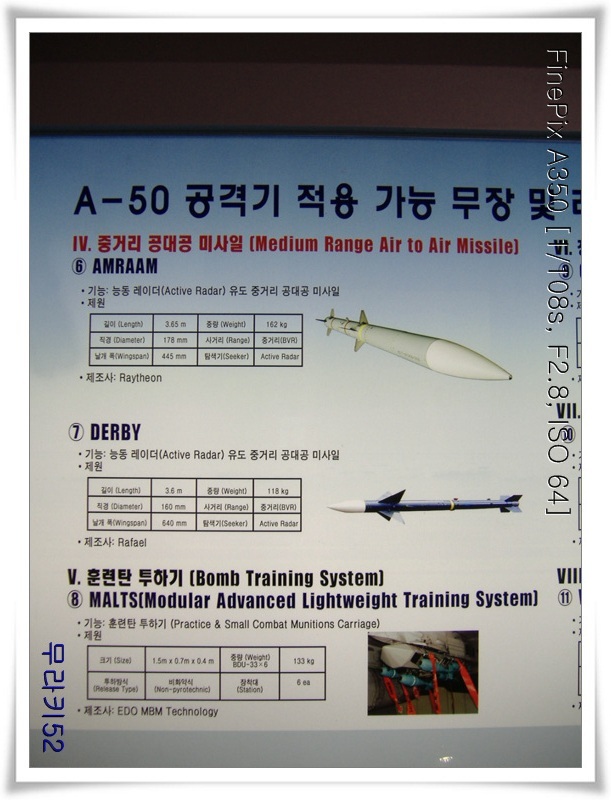 ^ "AMRAAM and Derby for FA-50". 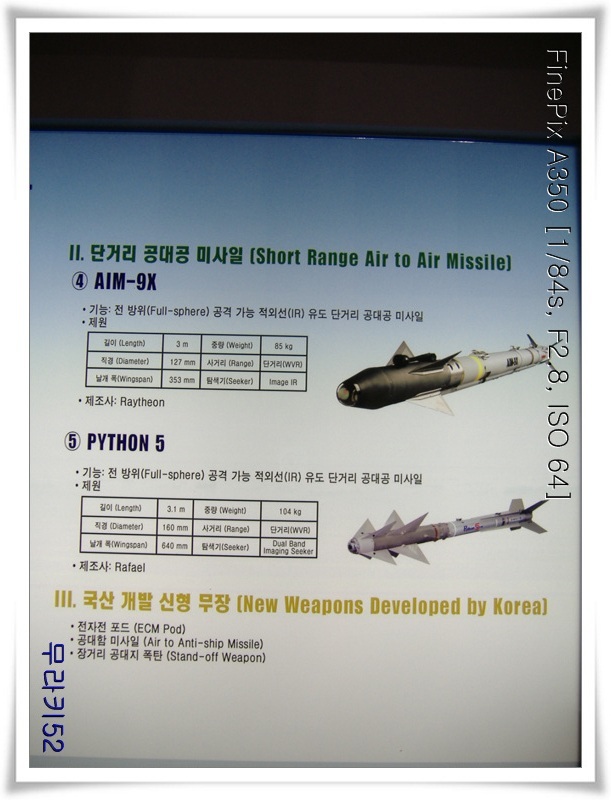 ^ "Python 5 and New Weapons Developed by Korea for FA-50". ^ Reed Business Information Limited. "IN FOCUS: South Korea outlines strategy for indigenous fighter". Retrieved 19 April 2015. ^ "Boeing F-15K Selected by the Republic of Korea as F-X Fighter" (Press release). Boeing. 2002-04-19. Archived from the original on 2007-02-04. Retrieved 2007-03-02. ^ 엄, 수아 (2014-02-20). "군가산점제 위헌판결, 불붙은 논쟁의 시작" [Army bonus point found unconstitutional, start of the debates]. 여성신문 (in Korean). Retrieved 2017-08-05. ^ "제대군인지원에관한법률 제8조 제1항 등 위헌확인" (제대군인지원에관한법률 제8조 제3항, 제대군인지원에관한법률시행령 제9조)"" (in Korean). Seoul: Constitutional Court of Korea. 1999-12-23. Retrieved 2017-08-05. ^ Doolan, Yuri W. (June 2012). "Being Amerasian in South Korea: Purebloodness, Multiculturalism, and Living Alongside the U.S. Military Empire" (PDF). The Ohio State University. p. 63. Retrieved 8 September 2016. ^ Kelly, Robert E. (4 June 2015). "Why South Korea is So Obsessed with Japan". Real Clear Defense. ^ Myers, Brian Reynolds (14 September 2010). "South Korea: The Unloved Republic?". Archived from the original on May 19, 2013. Retrieved 19 May 2013. South Korea's political right for decades neglected to instill any sense of pride in the Republic, because there was little to be proud of. Even the pledge of allegiance from 1972 is a pledge made to the homeland and the race, not to the Republic. ^ "S. Korea to deploy troops for rehab". philstar.com. Archived from the original on 4 June 2015. Retrieved 19 April 2015. ^ JungSung-ki (June 25, 2008). "S. Korean Troops in Lebanon Honored". The Korea Times. Retrieved November 30, 2016. ^ "South Korean Defence Modernisation - Asian Military Review". Asian Military Review. Archived from the original on 27 October 2014. Retrieved 19 April 2015. ^ "South Korea to cut 17% of generals, merge Army commands in military reform". koreatimes. Jul 27, 2018. This page was last edited on 26 March 2019, at 17:06 (UTC).